Let’s be honest. Video games can be intimidating. Jumping into your first Call of Duty or Halo match can be overwhelming for gamers. How much more would it be for someone with no gaming experience at all? However, one of the best ways to connect with your gamer is to play with them. How do you overcome that fear and get to the point where you can truly enjoy playing? The best way is to pick up what I call “starter games”. A starter game is a game that will teach you the fundamentals of a particular genre without being so overwhelming. The controls are very similar, if not exactly the same, as other games but the pace is much slower. One of the biggest genres is First-Person Shooters (FPS). Game like Call of Duty and Halo fall in this genre. They are fast paced and require a lot of skill. However, there is one game you can play to help you learn. Portal 2 is a puzzle game. Your “gun” shots two different colored portals, orange and blue. You use these portals to reach different parts of the level you could not otherwise. It also includes co-op missions that require 2 people to complete. This video shows you the gameplay. I recommend Portal 2 for 3 reasons. Pacing�- You are not frantically running around avoiding enemies. You can take your time to learn the controls, which will translate into an other FPS. 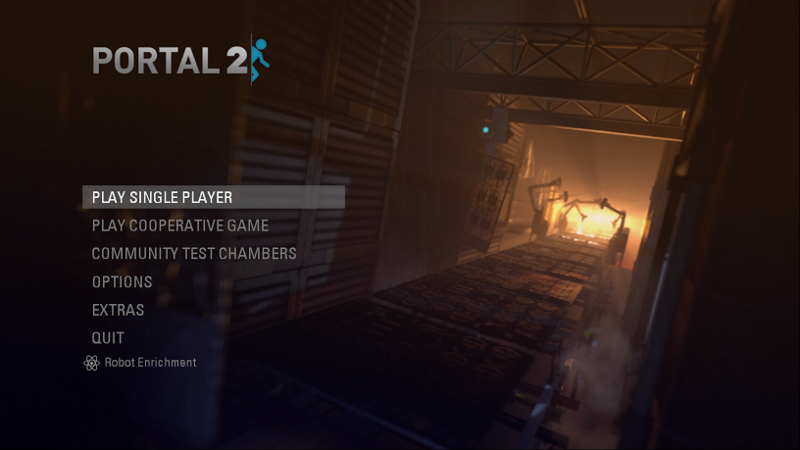 Co-op�- You can play Portal 2 with your gamer. You will have to work with them to solve the puzzles. This will begin to build the connections that are so important. It is great!�- While different, Portal 2 is not a lesser game than others your gamer is playing. In fact, it scored a 95 on Metacritic, which means it ranks among the best. Portal 2 (affiliate link) is available for the PC, PS3, and Xbox 360.